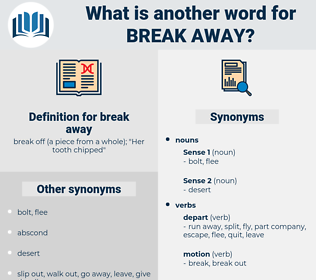 What is another word for break away? break off ( a piece from a whole); " Her tooth chipped"
make a break (for something). get away, break loose, escape. 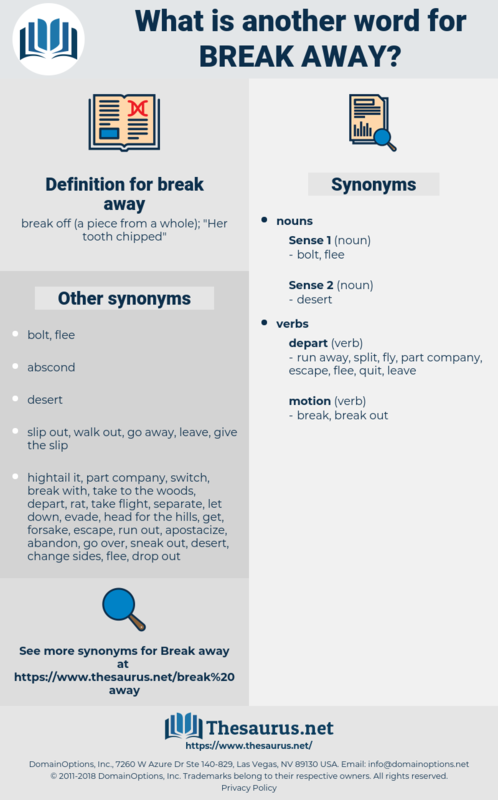 split up, part, break up, split, break, separate.